The wicket input raw STANDARD (without painting) is made using seamless pipes. 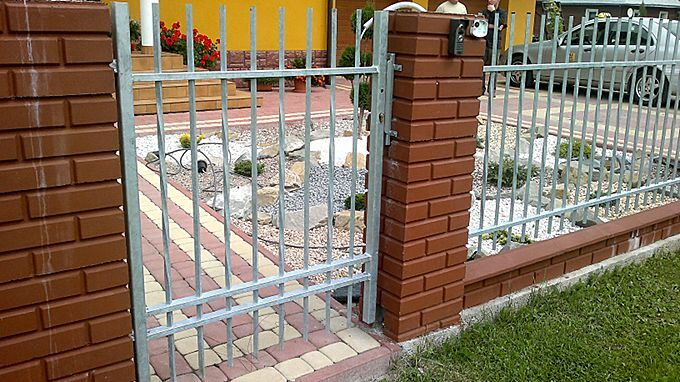 This solution reduces the risk of corrosion and provides the same to connect to each span, so that they are strong, even, smooth and aesthetically pleasing. 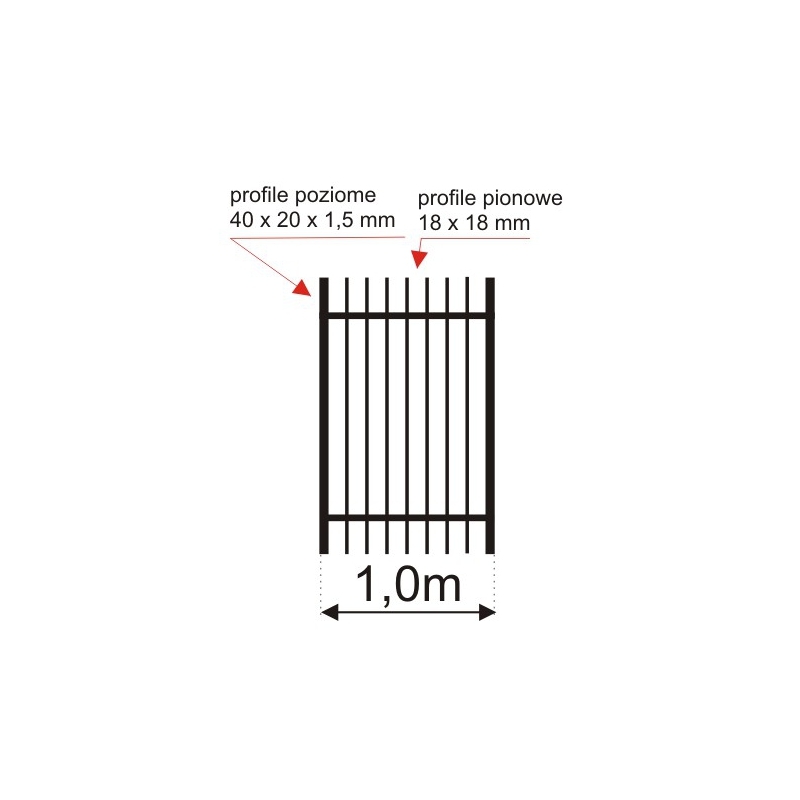 Enjoy the configurator fences, where you can choose different sizes of the gate. Then, the generated code to send to us. We enumerate the price. 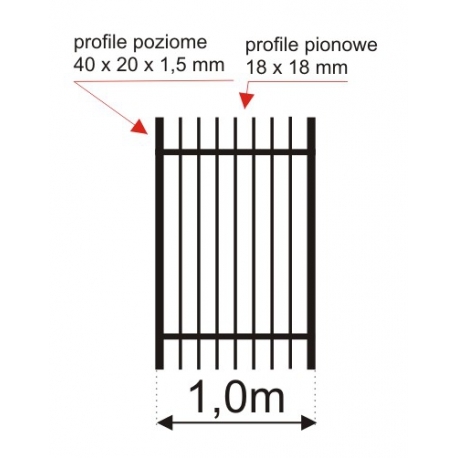 The wicket is available in three heights: 1.0 m; 1.5 m and 1.6 m. The width of the gate is 1m. You can order wickets for custom sizes and designs. 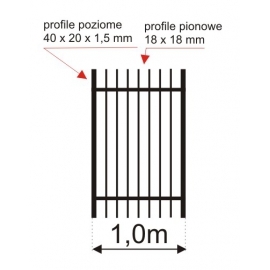 The vertical elements are made of profiles with dimensions of 18 x 18 mm and secured at the top with plastic caps. 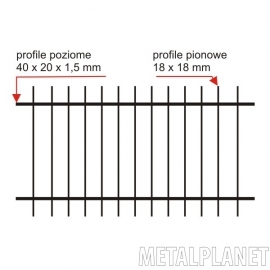 Two horizontal profiles fastening constructional dimensions 40 x 20 mm, wall thickness 1.5 mm profile. 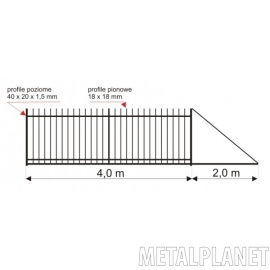 The distance between the rails depending on the choice might be 10 cm, 12 cm and 14 cm. Distance of 10 cm requires a surcharge. 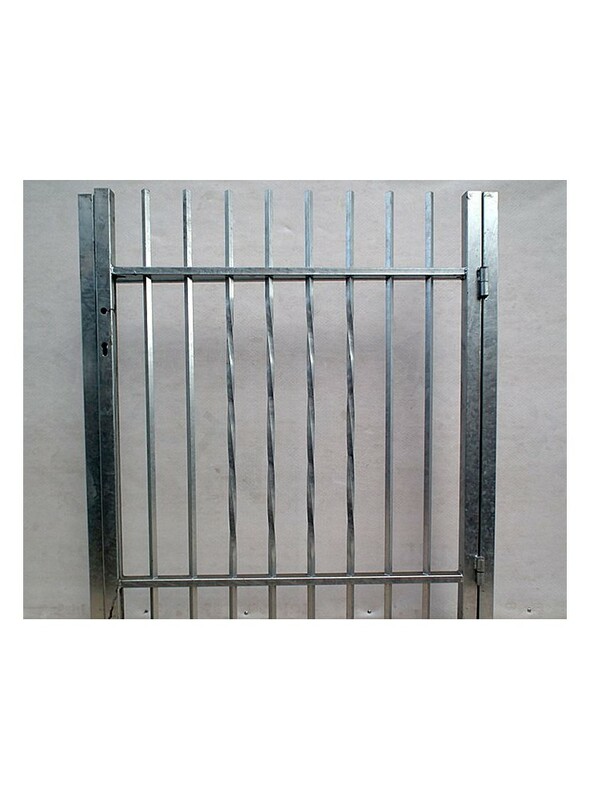 The gate has a raw finish to paint on their own by the customer. Warning! The set does not have the side posts, hinges, door handles, inserts and castle. Get a unique character and style of your fence by adding rosettes, baskets and sharp endings on each of the rails (caves). These additives can be ordered by selecting items in the "Related Products" (below the screen). The price is the price of installation. There is also the possibility of turning square vertical profiles (ie. The rails), which gives them a unique look and feel. We also invite you to place orders via the "contact us". Our consultants are at your disposal from Monday to Friday 8: 00-16: 00 at the telephone number on the top of the screen. Warning! The cost of transport depends on the distance to the place of delivery of the product. Please contact us to calculate the cost.